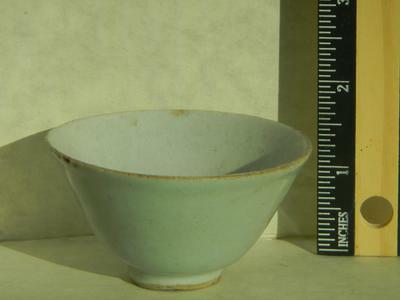 Comments for Celadon tea cup? Chinese? Not sure about this. 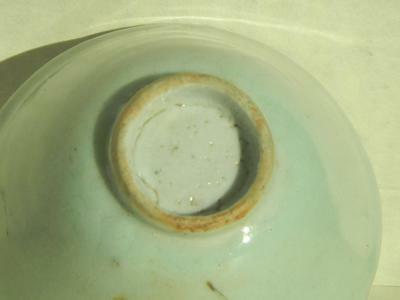 The foot rim looks early, more like Ming, but inside the foot it looks as if there were burst glaze bubbles. 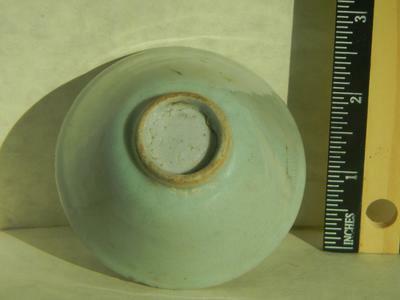 That would make it early Qing dynasty. Perhaps 17th century? Let's see if someone can pin it down better.